Waves is now showing in theatres! 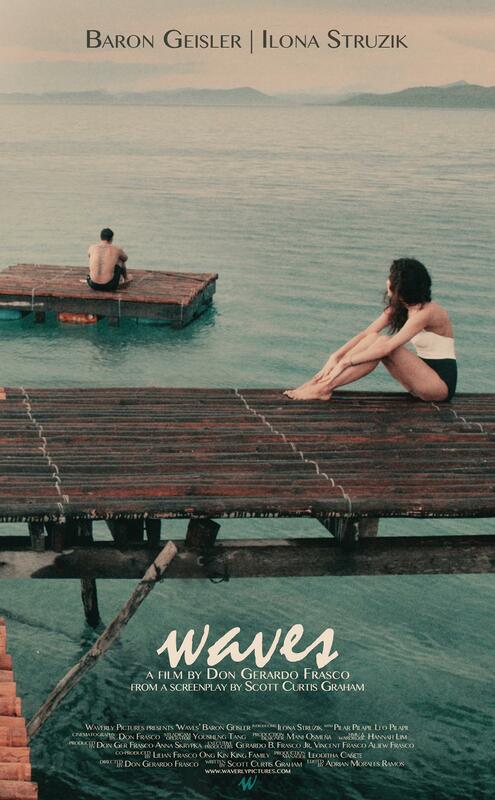 If you want an apt summer ender, Waves is definitely a perfect ode to a bright summer. It narrates how summer heats up two hearts but left them cold in loneliness when finally they’ll realize that everything was just a mirage. Waves is an independent film with Cebuano roots that marks the directorial debut of Cebuano Don Gerardo Frasco. It will be shown in theatres nationwide starting today, June 24, 2015. “Waves reminded me of Richard Linklater’s Before Trilogy (Before Sunrise – 1995, Before Sunset – 2004, and Before Midnight – 2013) — a look at modern love with flair for naturalism. It is an eavesdropping on the intimate conversations of Ross and Sofia who both plunged into love by taking impulsive detours and catching chancy tides, which unwittingly brought them to their feet at the shore. It swells with an unspoken confusion that rippled from the characters, especially that of Baron Geisler’s— in his stellar performance in years. His persuasive and empathic facial sobriety kept the movie alive.” Read more here.